Jewelry with Graceful Form & Playful Personality for Your Inner Child. 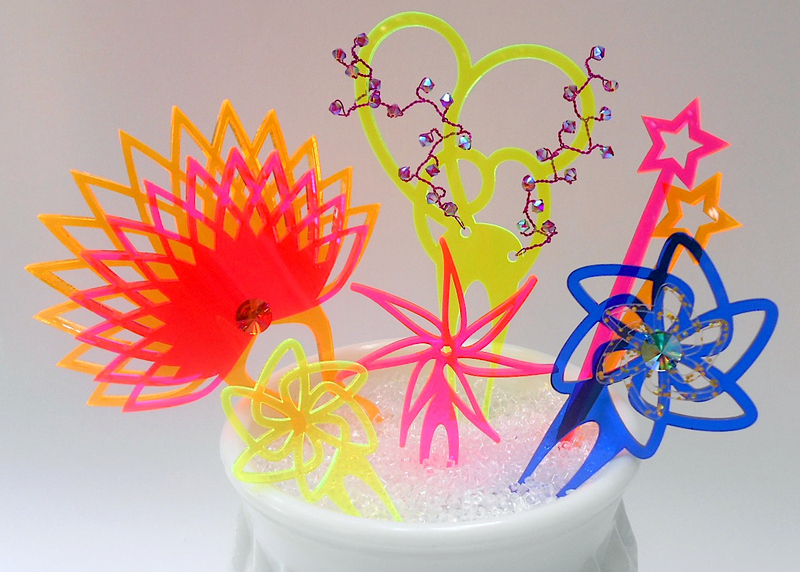 Intertwined Wire or Laser Cut Acrylic to Top any Outfit with Fun Flair. As a child, did you ever dream of being a prince or princess and proudly sporting a sparkly crown? Youngsters are often blessed with an imagination and playful creativity that can be hard to hold on to as we grow up. 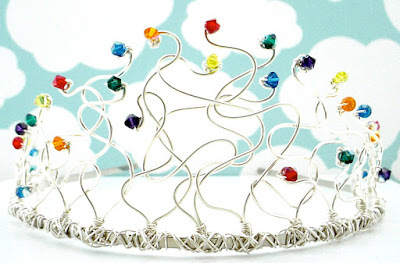 Thank goodness for Artists & Crafters like Merritt Gade who make their childhood aspirations a reality, in this case, with personality filled tiaras and artful accessories! Merritt has a passion for craftsmanship that shines through every handmade piece, whether it's a tiara, hair vine or pair of earrings. 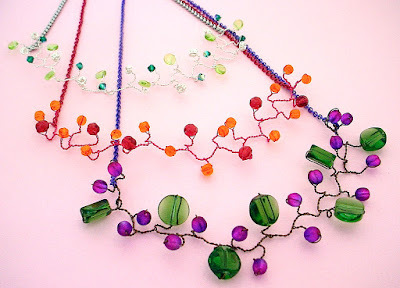 She uses colorful, quality materials to bring her original designs to life. In a way, she's turning her playful vision into functional, expressive goods for her customers. 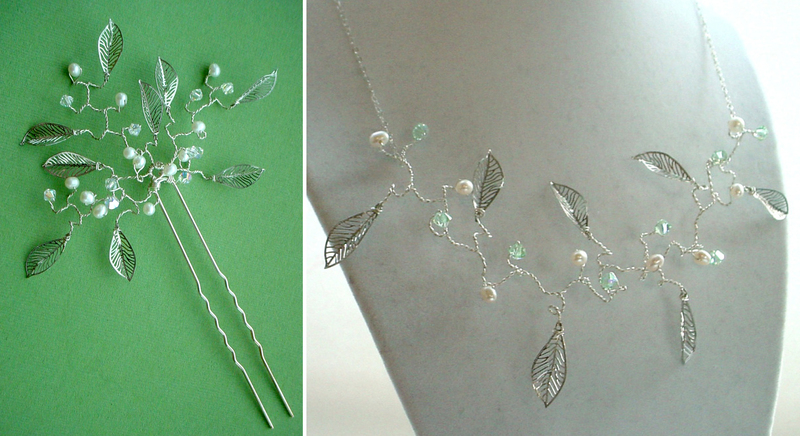 Her tiaras range from laser cut acrylic to woven wire with crystals, each creating its own vibe. I'm personally a fan of the more wood nymph style. They have a certain gracefulness that is elegant. But what's not to love about bold colored acrylic in fun shapes?! Playfulness aside, the talented maker inside Merritt appreciates the "architectural element" as she puts it, that can be incorporated in her crowns unlike any other accessory. I've enjoyed watching her body of work evolve over the years, always maintaining a characteristic style that makes wearing her art fun! The acrylic and crystals provide a brightness, and she pairs them so nicely with colored wire. 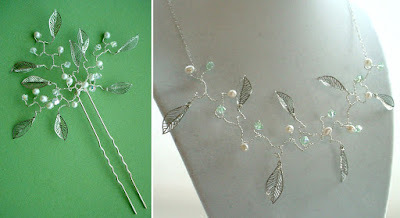 For her "woven" pieces it's not hard to imagine the clever craftwork by hand to bring each tiara or hair vine together. For those less inclined to tiaras, you can choose from a range of beautiful and equally graceful earrings, necklaces and more.